A friend of mine once said something to me that was pretty funny at the time but has become quite prophetic over the years. He said “The only loyal person I know is my dog”. But you know, maybe he had a point! 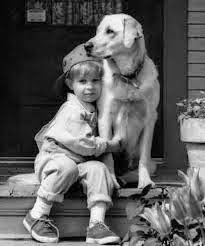 Have you noticed that the only time you hear the word “loyalty” any more is when someone is talking about a dog? It’s not the only word that seems to have all but disappeared from the English language. When is the last time you heard someone say the word “honor”? For me it was at a friend’s wedding ceremony. What about when you were young and people used to say they were just “shooting the breeze” with a neighbor? Sure, things change and the way that we talk reflects those changes, I get it. What concerns me, however, is the fact that maybe we don’t use certain words anymore because they are no longer important in our daily lives. Maybe we don’t say “loyalty” because it has lost its importance in today’s hectic world. To be honest I don’t see a lot of loyalty “floating around” these days. It seems more like everybody’s “looking out for #1”, but I digress! Loyalty is a form of exclusivity. As an example, doing side work behind your boss’s back to make extra money is the opposite of being loyal. You are loyal to your employer and consider the fact that you are actually “biting the hand that feeds you”. You are also being disloyal to your coworkers, they need to keep their jobs as well and not supporting your employer is also not supporting them. Loyalty is reflected in words as well as actions. This should go without saying but if you are loyal to someone you don’t say bad things about them to others. We see this everyday when someone is talking about a friend, family member or coworker in a less than positive manner. If you are truly loyal you will defend someone in the presence of others, not denigrate them for something they did or did not do. Loyalty is being there when you are needed the most. This means physically as well as emotionally and spiritually. If you are truly loyal to someone you are there without being asked. Your presence serves to reassure them that you care about what happens to them and you will do whatever you can to help them through any situation, big or small. If you think about the people in your life that mean the most to you it’s a sure bet that they were there for you when you needed them most. Loyalty is protecting the privacy of others. This is something that many people seem to have forgotten how to do! I am always hearing things about other persons that I am sure are none of my business. If you are a true and loyal friend you would never disclose any secrets about that person to anyone else. The bottom line is that you have been confided in and no matter how exciting or interesting the subject matter might be you would be vigilant in keeping it completely private. Loyalty is always putting the other person first. This means that your loved one’s needs come above the needs of all others. Regardless of what plans you may have made with others your primary responsibility is to the one that you are loyal to. This doesn’t meant that you should be rude to others or to cancel appointments on a whim but it does mean that your priorities are in order and you always remember who comes first. This can apply to business associates as well as family and friends.